…that at least 16 different fabrics were used in those colors, resulting in a masterful blend designed by Susan B. Anthony when she was only 15 years old. 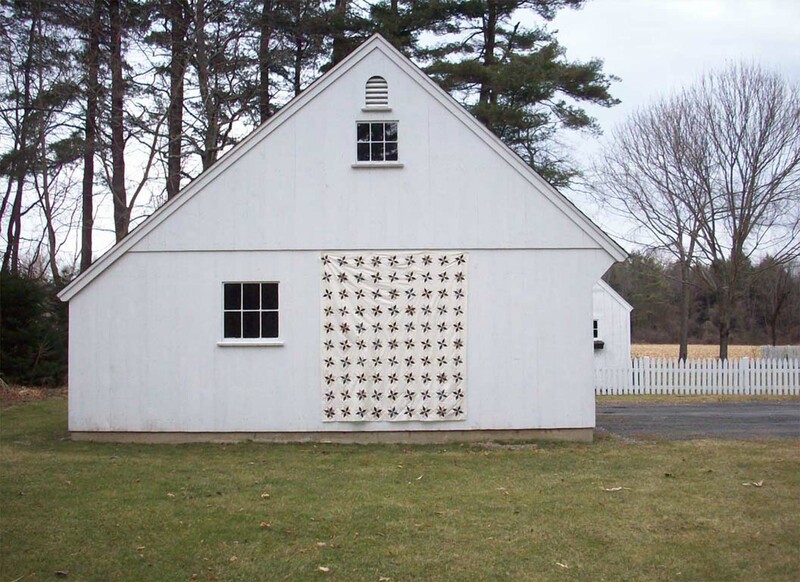 A couple years ago, 64 quilters from western Massachusetts set out to replicate young Susan’s handmade quilt. Last week two of the quilters came to the Rochester Museum & Science Center to see the original and to visit the Susan B. Anthony House on Madison Street, where Susan spent most of her adult life. Like Susan, the modern quilters pieced the top without a sewing machine–all 1,500 diamonds, squares, and triangles. They sewed them into 180 squares, half of them in the LeMoyne Star pattern, set into 18 rows. It took the Massachusetts quilters 13 months to complete a project that Susan accomplished in four years, just in time to give it to her sister Hannah for her wedding to Eugene Mosher. “The eight-point star was an ambitious project for a teenager because the bias-cut pieces can easily stretch and it is not unusual to accidentally cut off points of the triangles,” says Connie Logan, master quilter. More on this replica and its model later this week. This entry was posted in 19th century inventions, customs, fashion, Susan B. Anthony and tagged LeMoyne Star, quilt, Susan B. Anthony by Jeanne. Bookmark the permalink.